Size: 773 sq.ft. - 2017 sq.ft. 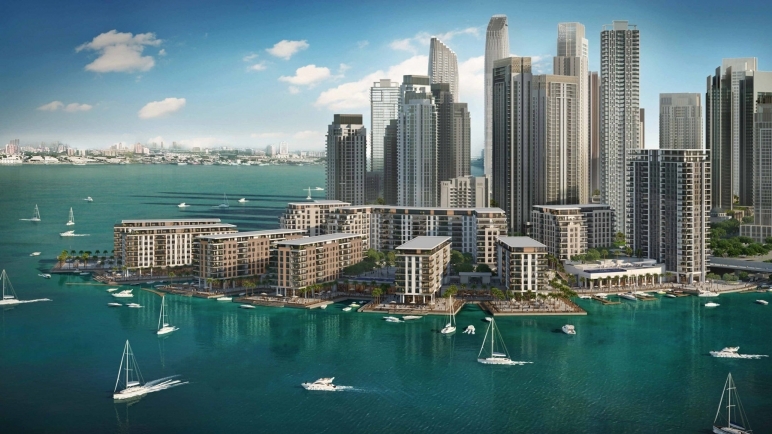 The Cove is a waterfront community reside at Dubai Creek Harbour. 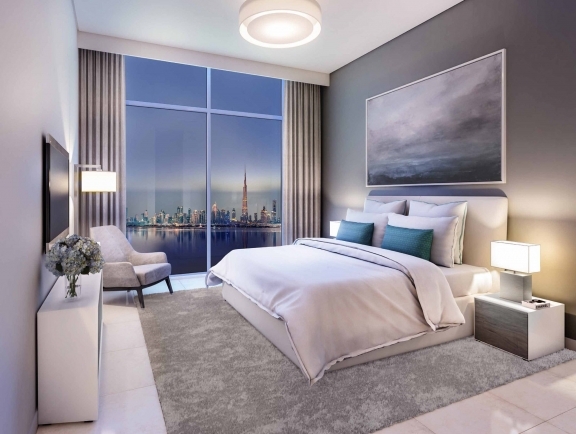 It is designed by the world-renowned developer - Emaar Properties. This waterfront development has been designed and developed to the highest international standards which are perfectly balanced between modern convenience and nature.The Cove is a new icon of the 21st century that will become a part of our lifestyle.The Cove's big range of apartment sizes and layouts is a right fit for every buyer/investor.This project was official launched in 2016 and the entire construction is to be completed in Q1 of 2020. The Cove is a mix collection of buildings and the building 1 is one of the tallest buildings within the Cove development.These towers are featuring one, two and three bedroom and penthouses. The units will have the views of water and the community views as well as views of the Tower or central district. The tallest(G+21 storeys) tower containing four bedroom penthouses which are located on the 20th and 21st floor of the building. The complete projectfeatures a mix of premium 1, 2 and 3 bedroom apartments. One Bedroom flat is dedicated to 773.28 Sq.ft. – 1023.65 Sq.ft of area. Two Bedroomsapartment is configured within the area of 1313.63 Sq.ft – 2017.80 Sq.ft and lastly the Three Bedroom covering the area of 1756.35 Sq.ft to 1882.82 Sq.ft. 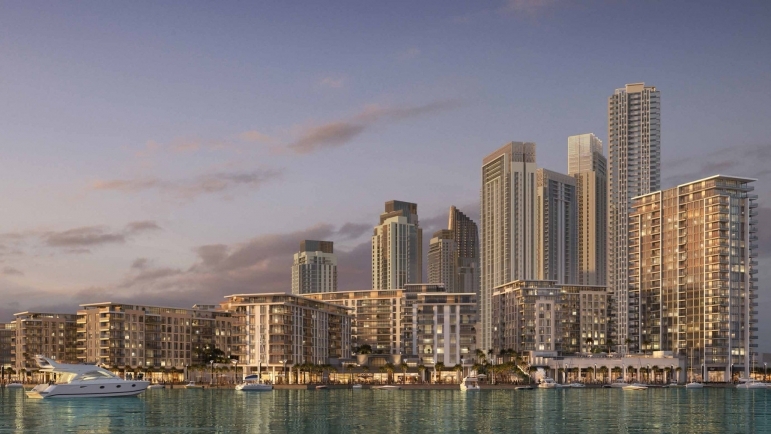 Emaar Group has entered real-estate field in the young history of Dubai. Over the past 17 years, Emaar has redefined the dynamics of property development, which now serves as a template for others across the world.The company was founded by Mohamed Ali Rashed Al-Abbar in 1997 and is headquartered in Dubai, United Arab Emirates.Almost 37,350+ residential units were handed over by Emaar in Dubai. The group has truly constructed many marvellous constructions in Dubai and which are very much appreciated by the people. 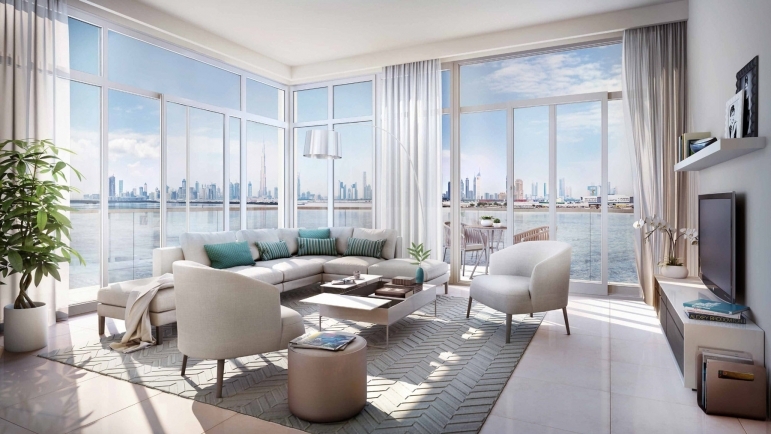 The Island District of Dubai Creek Harbour is welcoming the cove's homes with the best location benefits. 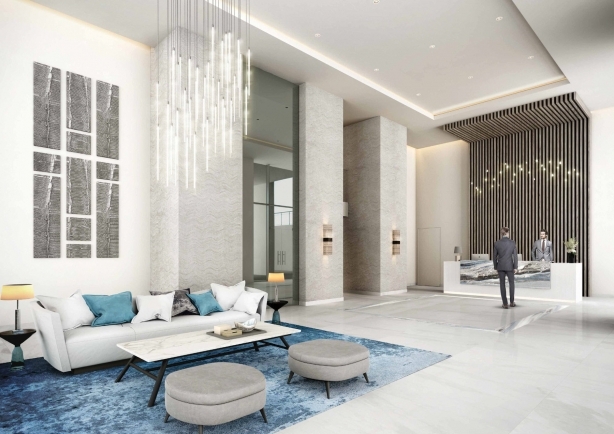 The Cove’s prime location is boasting direct views of Downtown Dubai, The Tower and the Ras Al Khor Wildlife Sanctuary. The Cove's luxurious towers are blended into the blue seas effortlessly. The Cove project comes with a Stylish boutique, quaint cafes/dining concept, The Marina Yacht Club, Lushly landscaped pathways, parks and promenades. It is is structured to the highest international standards. These contemporary residences ensure an exceptional standard with a stunning waterfront surroundings. 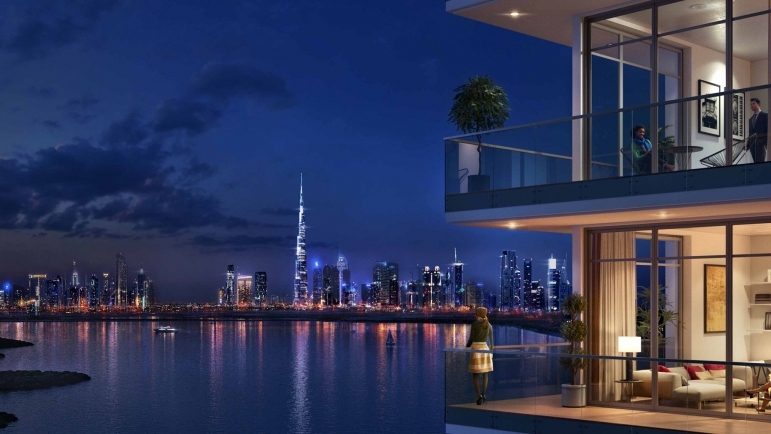 The Cove by Emaar Developer is at the heart of a bold new vision of Dubai in Dubai Creek Harbour, UAE. The amenities include fully landscaped podium deck, Park, Community Hall, Day Care Centre, School, Retail Centre, Swimming Pool, Kids Pool, Golf, Polo/Equestrian, Tennis Courts, modern gyms, Mosque, multi-purpose family rooms and more.